I was just looking through some photographs from our trip to Ecuador last year and found this photograph of an egg shop in Quito. 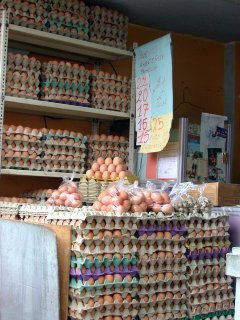 There were several tiny little egg stores like this. If you buy eggs, they put them in a plastic bag and you take them home like that.